The UK claims 10 entrants out of the 100 featured in the QS Best Student Cities 2018 ranking, the most of any country apart from the US (which has 13). As if that’s not enough, capital city London has climbed to the top spot of the index for the first time in 2018, and there are two new entrants this year (Aberdeen and Brighton). The Best Student Cities ranking rates each entrant on six indicators, including desirability, affordability and student view, with the latter based on responses collected in our student survey. All of the UK’s 10 entries are ranked within the top half of cities for student mix, an indicator which assesses the size and diversity of each city’s student population, but fare less well for affordability. Below we’ll count down the 10 highest ranked student cities in the UK, all of which offer their own unique study abroad experiences, as well as at least two universities which feature in the QS World University Rankings® 2018. The first of the UK’s new entries in the Best Student Cities ranking this year, Brighton is ranked 92nd overall and is known for being one of the UK’s most popular seaside resorts, with much sunnier weather on average compared to much of the country. It’s also the UK’s unofficial LGBTQ capital and is full of easy-going, eccentric creatives and free spirits. Brighton is a vibrant, inclusive city with a large student population (more than 11 percent of the population). As with other cities in the UK, a substantial number (28 percent) of its students are international, meaning you can meet people from many different walks of life, and earning the city its strongest score in the ranking for the student mix indicator. Heading up north to Tyne and Wear, Newcastle-upon-Tyne (or simply Newcastle) retains its position of 56th in the Best Student Cities ranking this year. The most populous city in the north-east, Newcastle and the wider area is also home to some of the area’s strongest universities, such as Durham University (ranked joint 78th in the QS World University Rankings® 2018). As if that’s not enough, Newcastle was named the best place to visit in the world by The Rough Guide 2018, receiving praise for its arts and culture as well as its compact feel. The highest-ranked of the eight new entries in this year’s Best Student Cities index, at 55th, Aberdeen is also a fantastic choice of study destination for nature lovers, with miles of nearby coastline and countryside to explore. While it’s not a cheap study destination, Aberdeen does receive the highest score of the UK’s entrants for affordability, with lower living costs for things like rent than you’d find in larger cities. Also, Scottish students and those from the EU (excluding those from the rest of the UK) can study for free. You can read about the top universities in Scotland here. Ranked 51st in this year’s Best Student Cities (up four places from last year), Birmingham is the UK’s second-largest city and is one of the UK’s most exciting cities, with excellent restaurants, history, entertainment, shopping and culture. Birmingham is famed for its industrial heritage and has more miles of canals than Venice. It also hosts the largest Christmas market in the UK every year and more than 50 festivals every year, including the Birmingham Comedy Festival. The city is ranked 50th for the rankings indicator in this year’s cities ranking, with the University of Birmingham consistently featured in the top 100 of the world rankings. 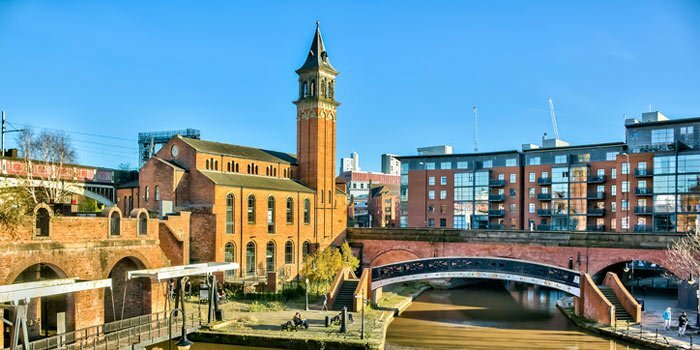 Nottingham is ranked 47th in the Best Student Cities this year and is one of the most vibrant cities in the UK, affectionately referred to as the ‘Queen of the Midlands’ and known for its proud connection to the Robin Hood legend. The city earns the third-highest score in the UK for student view (21st), with students here rating it highly for its nightlife, ease of getting around (Nottingham has an award-winning public transport system), friendliness, diversity and more. One student, in our survey, described the city as a “great student town, with a thriving, sustainable, fun city lifestyle”. 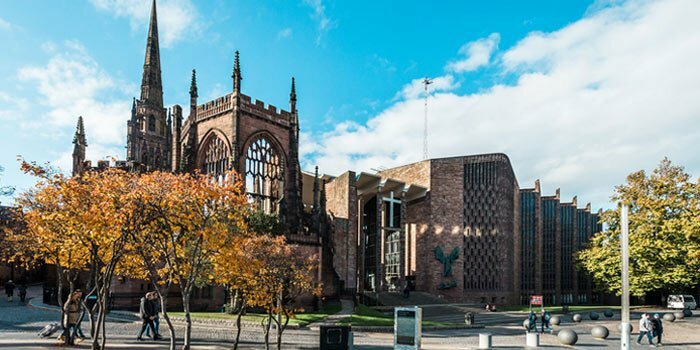 The fifth highest-ranked of the UK’s 10 entrants in the Best Student Cities ranking this year, Coventry is ranked 44th overall, just one place behind Glasgow. 6.8 percent of its population are students, and more than 40 percent of students come from outside the UK, making it a very diverse place to study. Coventry is also not short on culture, having won the title of UK City of Culture 2021 in December 2017, with excellent venues such as the Warwick Art Centre at the University of Warwick, the largest arts center in the UK after London’s Barbican. Glasgow went down slightly in this year’s Best Student Cities ranking but is nonetheless included within the top 50 at 43rd. Despite this drop, Glasgow is in the top 50 for the rankings, student view and student mix indicators, again with a fairly large and mixed student population. The city is home to two universities which feature in the top 300 of the World University Rankings: the University of Glasgow, which ranks 65th, and the University of Strathclyde at joint 277th, with the former dating back to the 15th century. Glasgow is the largest city in Scotland and is known for its rich history, varied contemporary culture and the friendliness of its locals. Manchester is ranked 24th in the Best Student Cities ranking in 2018, earning the UK’s fourth-best score for student view, with one student writing: “It's a big enough city with plenty to see and do, but small and inclusive enough that there is still a sense of community among everyone. It's very multicultural and welcomes anyone and everyone”. Ranked joint 12th for student mix, Manchester has one of the largest student populations in Europe, at around 100,000 as of September 2017, (40,000 of whom are studying at its highest-ranked institution, the University of Manchester). Music is a big part of its culture, with many famous bands formed here, such as Oasis, Joy Division, The Smiths and Buzzcocks. 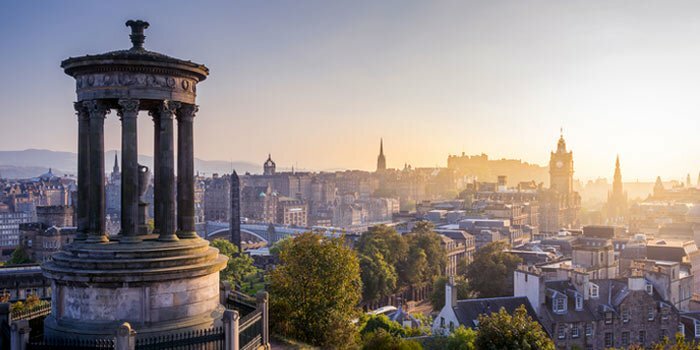 Ranked 16th overall in this year’s Best Student Cities ranking, Scottish capital Edinburgh is known for historical and cultural attractions and events like the Edinburgh Fringe Festival, which practically doubles the city’s population every August. 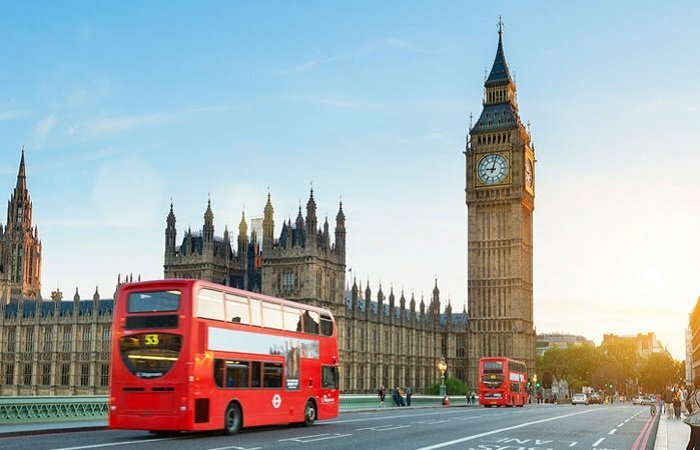 As well as being the top student city in the UK, London has climbed two places in this year’s Best Student Cities to rank first in the world for the first time. With no less than 17 ranked institutions in the QS World University Rankings® 2018, including two in the global top 10, London is unsurprisingly ranked as the best in the world in the rankings indicator, and also ranks second for employer activity. You can read about the top universities in London here. Think there’s a UK city which deserves a place here? Rate it in our student survey, or let us know in the comments.